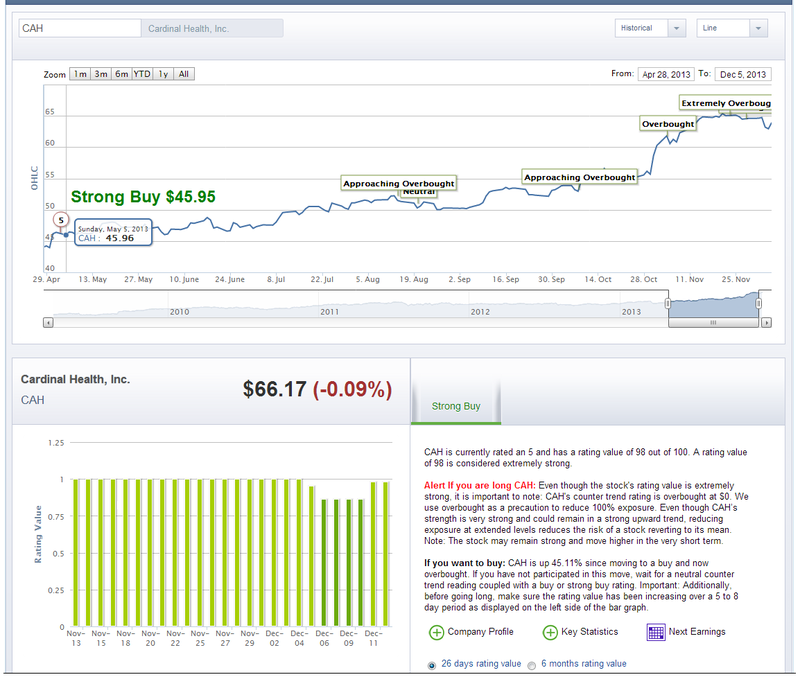 CAH – Cardinal Health is extremely overbought. You will notice from the Chart below we went to a 5 or a Strong Buy back in May at $45.96. 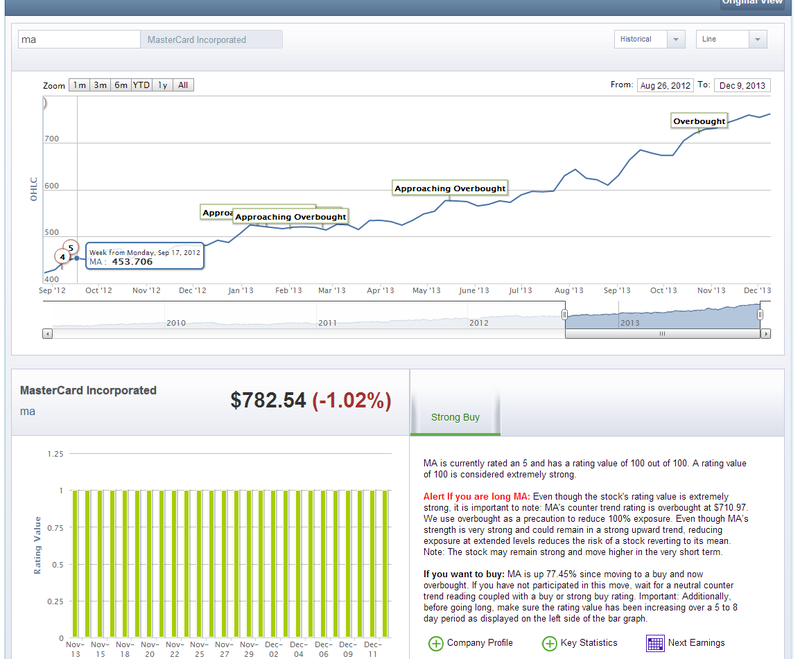 With a broad S&P 500 5% to 7% pullback we will be looking to allocate capital to CAH. Of course all bets are off if CAH has a negative earnings catalyst or is downgraded in our proprietary rating. 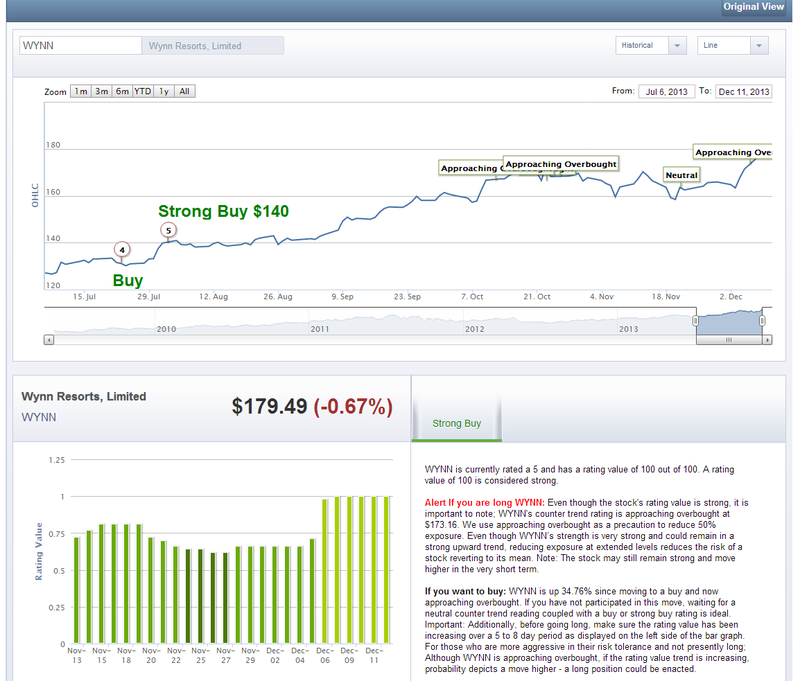 WYNN – Wynn Resorts is only approaching overbought. You will notice from the Chart below we went to a 5 or a Strong Buy back in August at $140. With a broad S&P 500 5% to 7% pullback we will be looking to allocate capital to WYNN as long as WYNN’s rating value stay above the S&P 500. Of course all bets are off if WYNN has a negative earnings catalyst or is downgraded in our proprietary rating. 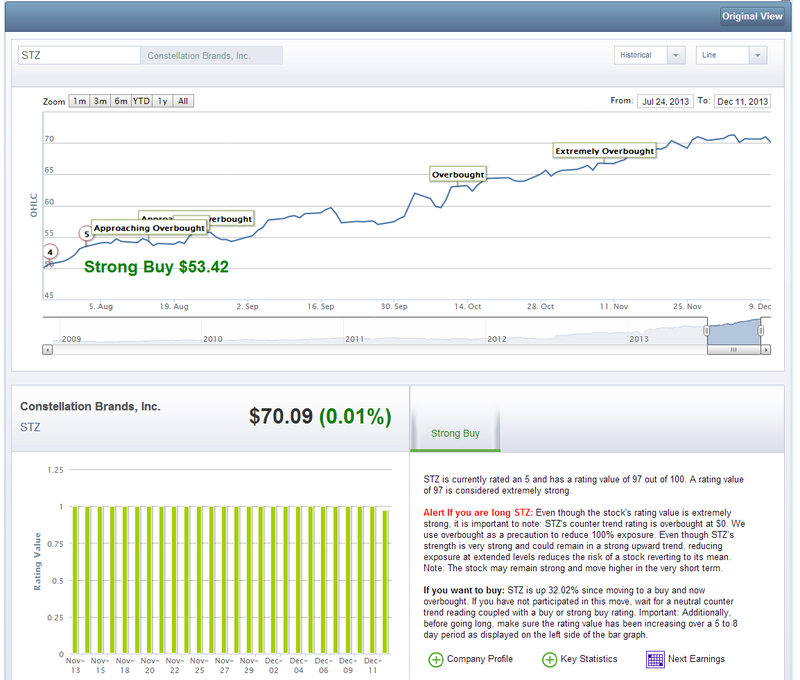 STZ – Constellation Brands is extremely overbought. You will notice from the Chart below we went to a 5 or a Strong Buy back in August at $53. With a broad S&P 500 5% to 7% pullback we will be looking to allocate capital to STZ as long as STZ’s rating value stay above the S&P 500. 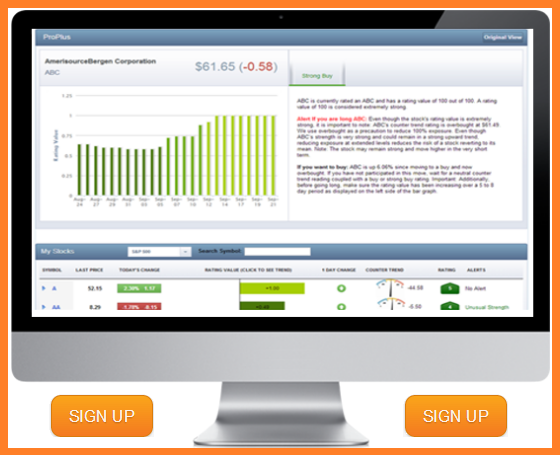 Of course all bets are off if STZ has a negative earnings catalyst or is downgraded in our proprietary rating. You will notice that the blue dotted line represents the rating value strength of STZ vs. the Orange line that represents the S&P 500 rating value Strength. 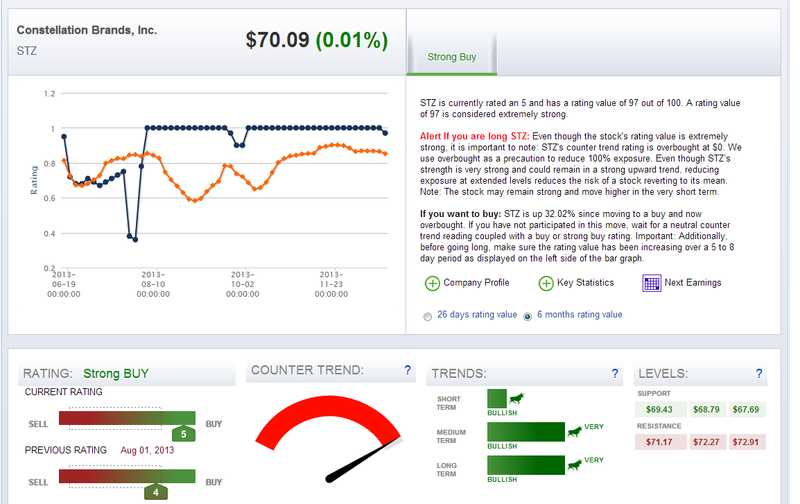 Currently, STZ strength is holding above the S&P 500. Past Performance is not indicative of future results. This information is not investment advice and you should speak to a financial professional before investing.